In recent years both enterprises and government agencies have suffered from multiple security breaches. Whether they were industry leading giants or small to medium sized businesses, they all made the same mistakes that made them vulnerable to cyber attacks. The most common of these mistakes can be attributed to the human factor. This essentially relates to employees’ behavior when it comes to their interaction with enterprise systems. Additionally, businesses are also left vulnerable because of deficient “cyber hygiene” practices. This means that organizations failed to properly patch and keep their systems updated. The latter was the primary reason why the whole planet was rocked by the recent WannaCry ransomware attack. You don’t have to be a security expert to understand that hacking can have dire consequences. So it’s critical to take necessary steps to keep yourself protected. 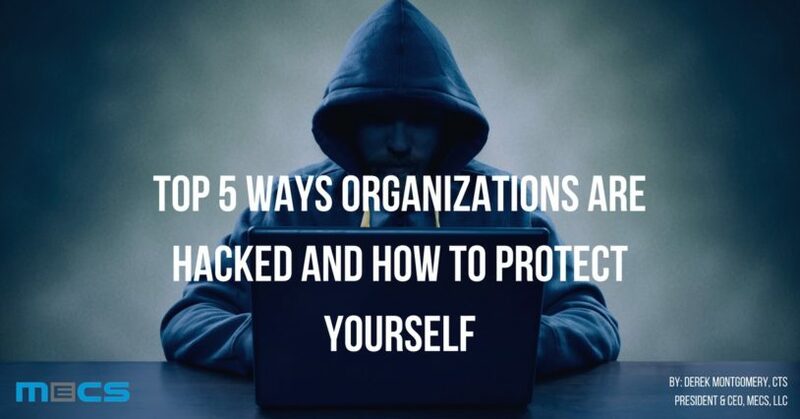 Let’s take a look at the top five ways in which overlooked steps, mistakes, and bad practices lead to hacking and how you can protect yourself. While businesses are under pressure to consistently innovate and deploy rapidly, the failure to check the code is something that is unacceptable. When you don’t take the time to check the code, there’s a good chance that you might be leaving yourself open for interjections, a historically popular vector attack. However, in this scenario, the problem isn’t coding, rather it’s a problem that comes up because there is a lack of understanding among developers when it comes to validating the input. Therefore, before deployment, programmers need to properly understand these potential vulnerabilities, code robust software and engage in testing. When you test the code, you can quickly eliminate vulnerabilities before deploying any software or apps. As a result, businesses have to actively engage security experts and testers to ensure that applications are secure before they’re launched. Most DDoS attacks happen because employees fail to change default login information and passwords. This behavior can quickly make the business vulnerable to malware attacks like Mirai in 2016. As multiple industries embrace mobility and the Internet of Things, the risk will only grow unless organizations actively respond to this problem head on. At an enterprise level, this applies to multiple access points, vectors, and routers that can be exploited by hackers. Furthermore, if more than one device shares the same password, access to one device can end up being access to multiple devices within seconds or minutes. To enhance protection, companies need to get creative with their passwords to make sure that it’s impenetrable. These practices should also be extending to email and social media accounts that might be accessed on an enterprise network. As a result, employees should be trained and informed about the importance of Two Factor Authentication (2FA) or Two Step Verification. This is an excellent approach to mitigate the situation when hackers are able to get a hold of some of the login details through malware. When source code is left exposed, there is a significant risk of being wide open to a vector attack. This is the primary reason why Yahoo experienced a significant breach in 2013 that left over a billion accounts compromised. The tech giant was guilty of utilizing a weak algorithm to generate session cookies and this opened the door for hackers to come in and predict the value of the cookies that were assigned to users. In this incident, the hackers were able to breach the system by creating their own cookies to bypass password protection by pretending to be real users. So what’s the best solution to this problem? The answer is simple, never leave your source code exposed to hackers! Sometimes businesses (especially SMBs) make the mistake of thinking that they don’t need a formal policy. But this a massive error of judgment as without a plan, you won’t have anything in place to build the foundation of your overall organizational security. What matters in this context is that the business understands that it’s much more than a formal document that is quickly filed away (after it’s written). Instead, it needs to be used regularly to understand the dynamic changes that impact data securityand help structure responses that ensure that the business is protected. An effective security policy covers not only how data should be protected, but also how one should respond to cyber security incidents. When there is an incident-response strategy in place, it can work as a guide to help IT professionals within the company resolve issues in an organized and calm manner. As mentioned in the beginning of this post, a lack of proper patching and updating strategies within an organization can have serious consequences. When an enterprise fails to apply all patches issued by software vendors, they will leave the whole company open to a significant security breach. Keeping software up to date while applying relevant patches is elementary within the IT space. But when resources are limited and there is pressure to deliver in other areas, patches and updates sometimes fall down the list of priorities. But regardless, organizations need to ensure that this never happens. This can also be added to your company policy to reaffirm the importance of engaging in this activity. However, if the IT team doesn’t have the necessary resources to achieve this, businesses must engage external vendors to ensure that they don’t fall victim to the next ransomware attack. Interested in learning more about how to keep your organization protected from cyber attacks? Click HERE to schedule time with an MECS specialist.